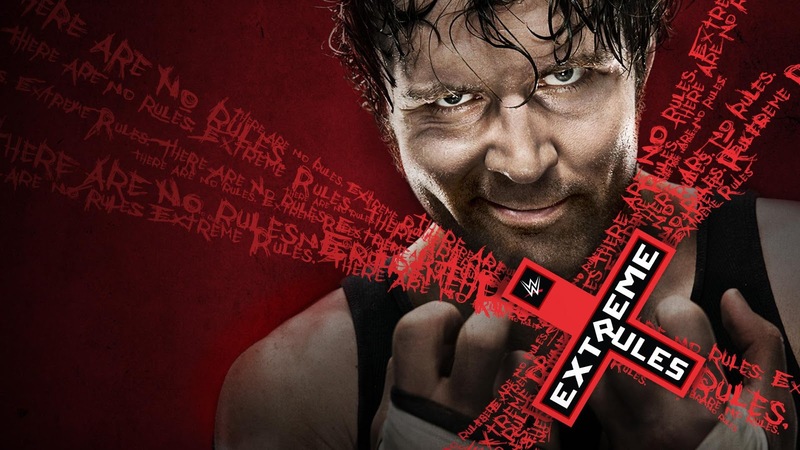 This years Extreme Rules PPV will take place at the Prudential Center in Newark, New Jersey, but what's in store at the most extreme event of the year? This one is a bit of a shame for WWE. 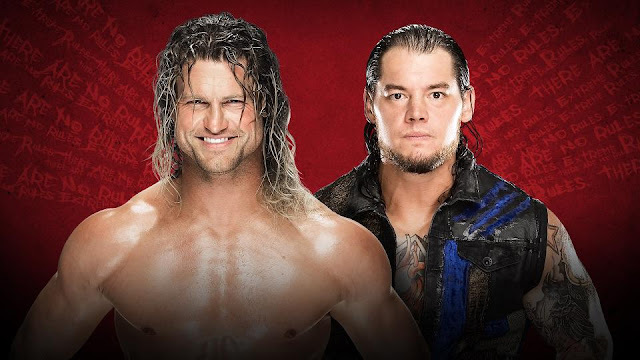 Baron Corbin has done very well on NXT but since being promoted to the main roster he has just been put into a feud with Dolph Ziggler and left to it. WWE have barely done anything to progress this feud in recent weeks. It was thrown on to the pre-show for the last PPV and WWE have done the same thing this time around. Not exactly the best way to build a star. So who will win? There's really not much to say about this one at all. Corbin will likely get a win on Sunday. Hopefully after that both of these guys can move on to something more beneficial to their careers. Both of these men still have huge potential on the main roster as long as WWE use them right. Kalisto's title reign has been underwhelming to say the least. He's been shunted to the pre-show for every title defense and honestly the sooner he drops the title better. Enter, Rusev. Two years ago Rusev was on an absolute tear in WWE. He was being booked as an absolute monster heel character and was one of the best in the company at the time. Unfortunately after losing to John Cena at Wrestlemania 31 Rusev hasn't really gone anywhere. Thankfully though, he gets a shot at Kalisto this Sunday. So who will win? WWE have tried to make Kalisto into Rey Mysterio 2.0 and it hasn't worked. They don't seem to understand that there is a difference between booking someone as an underdog and booking them to look weak. They have done the latter. Kalisto hasn't looked like a champion at all and Rusev will hopefully make quick work of him this Sunday. This one is just weird. 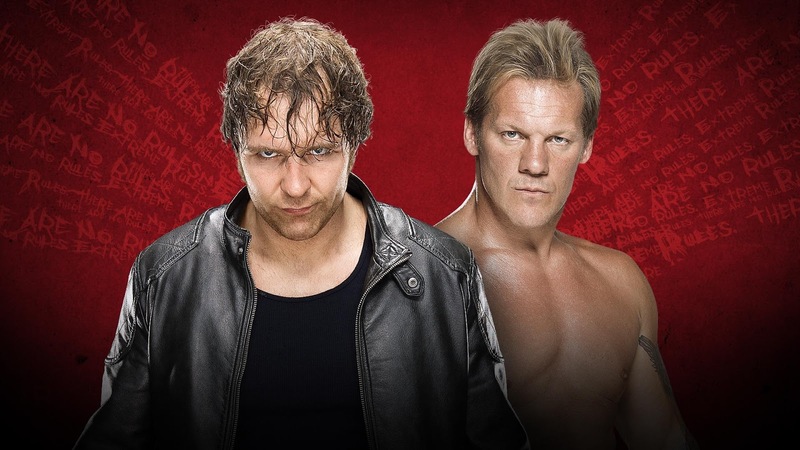 Jericho is doing his best work in WWE in years and Ambrose is still as good as he was six months ago. The problem is that I (and many others) am struggling to get emotionally invested in this. WWE are trying to walk a tightrope between two guys having an intense hatred for each other and two guys who are trying to be funny. They also keep falling off that tightrope. This has gone from being about a talk show to a potted plant to a jacket and now it's taking place in a steel cage? OK. The "Asylum" match is interesting. It is very much like this feud. It has the potential to be very good but it also has the potential to fall flat on its face. There are varieties of weapons from a fire extinguisher to a 4x4 with barbed wire to a mop and bucket (seriously). This is most likely going to end the night with the Match Of The Night award. Sami Zayn and Kevin Owens bitter rivalry has somehow merged with Miz and Cesaro and we now have a fatal-4-way match. All four of these men look like a good bet to walk out as champion this Sunday which is a rare thing to see. So who will win? It's a difficult one. Sami Zayn would be the most popular choice. Kevin Owens would also be a very popular decision but right now he's the favourite to win Money In The Bank next month which makes a win for him unlikely. I'm going with The Miz. The Miz and Maryse pairing has been excellent in recent weeks so WWE can keep that going if Miz still has the title. If not, it will mean a little less. No doubt Miz winning will be an unpopular decision but if Wrestlemania is anything to go by, WWE doesn't care what we want. This hasn't been as good as It should've been. It has been good, but it could have been way better. I'm not criticising either of these women, rather WWE Creative, again. Coming out of Wrestlemania 32 the women's division was on fire. Sasha Banks and Becky Lynch were among the most popular people in the company and Charlotte was still champion. A month and a half later, where are we? Charlotte has stalled and her character hasn't progressed, Sasha Banks is absolutely nowhere to be found on WWE TV (She's not injured as she continues to work house shows) and Becky Lynch is doing the job to newly promoted Dana Brooke. WWE have somehow managed to destroy the red hot momentum of all three of these women coming out of Wrestlemania. Only in WWE would this happen. So who will win? Charlotte. As good as Natalya is, I can't see her winning on Sunday. Charlotte needs to regain some of her own credibility after leaning on her father too many times. Gaining a submission victory over Natalya would help restore that. All this just feels like filler until Charlotte eventually faces Sasha Banks. The Vaudevillians have been made No 1 contenders after the incident with Enzo and Cass at Payback and while they have been good on the main roster since debuting, they aren't on the level on New Day. The New Day are so good at what they do right now that the managed to make a cheesy segment with a time machine work on RAW. Not many people would be able to do that. The Vaudevillians on the other hand while they have looked shaky at points. They shouldn't have been put in this position so quickly. Other feuds with people like the Lucha Dragons would've done them good to get acquainted with the main roster. So who will win? New Day most likely. New Day are arguably the hottest act in the WWE right now so taking the titles off them for a team like the Vaudevillians would be a mistake. One could argue that New Day are so good that they don't need the titles but with WWE trying to attract a larger audience, being a champion will mean something to people who don't watch WWE. This feud is both interesting and weird at the same time. It has become a battle between Roman Reigns and his "Family" vs. AJ and his "Club" with the WWE title sandwiched in the middle of things. It has been interesting to see how AJ has changed during this feud. At first he refused to use a steel chair but as the feud has become more boiled over, so has he. He has become more aggresive in recent weeks. Whether he turns heel or not is a big question going into Sunday. So who will win? It doesn't matter if AJ becomes the greatest thing on the planet, WWE will still more than likely continue to go ahead with their Roman Reigns experiment. WWE and Vince in particular will continue to push Roman Reigns to the moon in the hopes of getting him over, despite the fact that there is a large part of the audience that won't accept him simply because he is the chosen one of WWE. Styles will more than likely lose to Reigns, hopefully he won't be defeated by just one Spear this time. Prediction: Roman Reigns to win. 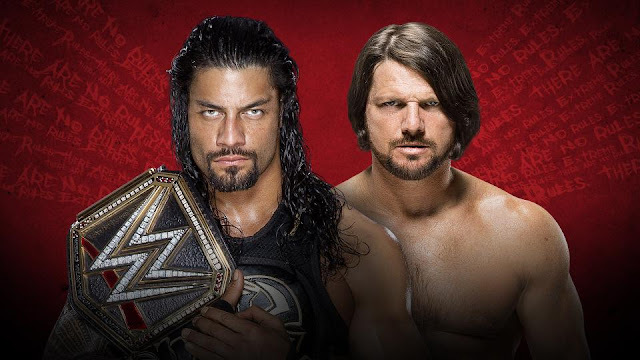 Full preview and predictions for WWE Extreme Rules PPV card on Sunday 22nd May at the Prudential Center in Newark, New Jersey featuring Roman Reigns vs. AJ Styles for the WWE Championship.